A recent change in functionality has resulted in pasting of cells/tables from Google Sheets into a SMS message now displaying a line of Hypertext preceding the information. 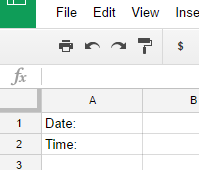 Pasting a single Google Sheets cell exhibits the same functionality as pasting an entire table. Prior to the change, a SMS message was sent free of any Hypertext. Predominantly use Google Chrome; checked and found same behaviour is exhibited in IE. Checked under ChromeOS and Windows 10 . Is the issue with updates to AirDroid .... OR updates made to Google Sheets .... OR updates made to browsers ?? Please bring back user set port Rename files Root File Access Crucial AirDroid does not list or find all of my… web.airdroid.com in windows 8?